This week, Nick gets unleashed on the topic of the big at the back defence as we look at the key men to target back there and if the idea stats up. We then look at the features (Market Forces (Barkley chase! )), zombies and All England team before answering some questions. Back next week with FPL Racoon Nation for a transatlantic pod! So how was your Gameweek 9? If your honest answer is 'Meh', you've done exceptionally well. Widely dubbed as "the good Gameweek to have a bad Gameweek", an average score of 43 meant that there was little movement in terms of overall rank - or none at all, in some of the more bizarre cases. It was a week where Benjamin Mendy (MCI, 6.3) reminded us - both on the pitch and on Twitter - that he is an indispensable FPL asset. Salah made this spot his own last season, week after week he was the safe pick – well its Gameweek 10 and he's returned thanks to a fantastic fixture and some tempting underlying stats. Maybe fantasy football managers were expecting more from Salah, but with 36 shots so far this season (only second to Aguero) he is certainly still looking dangerous! His 15 shots on target are the highest of any player in the Premier League this season. Their next opponents, Cardiff, have leaked 19 goals already this season. Only Fulham have conceded more – with Neil Warnock still insisting on playing attacking football they are bound to be carved up by Klopp's men. Fulham's defence has now conceded 25 league goals since Gameweek 1. Watching Match of the Day last weekend made me realise I needed to check which team they were playing during Gameweek 10. That team is Bournemouth and the player flying under the radar is Josh King,with him regisering 6 shots compared to Wilson’s 4 during the last 2 games – I fancy King to be a threat. Let’s not forget he has the added bonus of penalty duty too. What a start to the season for James Maddison, a very different player to Mahrez but he certainly had pressure to fill some large boots. With 3 goals and 2 assists I would say he's had a good start. After blanking during the last 2 Gameweeks some managers may be forgiven if they begin to wonder to look for other options in their teams. However after creating 2 big chances in the defeat to Arsenal, if it wasn’t for his team mates finishing it could have been a different story. The visitors to The King Power stadium this weekend are West Ham, who enter the game off the back of 2 defeats. Which players have had the most shots this season? We wouldn’t have thought Fulham’s Schurrle would be up there, but that’s where he is in 4th place – in fact his team mate Mitrovic is in 3rd. Those 32 shots have resulted in 4 goals this season, and boy have some of them been special – after scoring twice now during 2 games his confidence will be sky high. Their opponents Bournemouth continue to show inconsistency - won 4-0 one week and lost 4-0 another – which Bournemouth will show up this weekend? With Fulham’s poor defence they certainly need to attack! Liverpool have only allowed seven clear cut chances this season, second only to Manchester City – those clean sheets are not based on luck and will continue this season. As for Cardiff, I fear scoring those 4 goals vs Fulham may give them false confidence and they are in for a long afternoon. Back from his suspensionand raring to go, Holebas missed out on a clean sheet last weekend but returns this weekend at home to Huddersfield. Despite missing that game Holebas is currently 3rd highest for chances created with 5, equal with David Silva and Eden Hazard. Not bad for a defender. With stats like those and a fixture such as this, you know you’re tempted. Still not sure? Well Huddersfield have the lowest goals scored record this season with 4. It’s a Liverpool defensive stack this week as we seek to maximise our defensive returns during Gameweek 10, I just can’t see Cardiff finding a way through. Cardiff have only score 8 goals all season, 4 of those came against Fulham so can almost be ignored – even with those goals to their name only Huddersfield, Newcastle, Crystal Palace and Southampton have scored less. After some tricky opening fixtures, Brighton have arrived for the 2018/19 season. The Seagulls have now won their last 2 games and kept 2 clean sheets in the process. The favourable fixtures now keep on coming as Brighton hope to build some momentum. Next up are Wolves who are flying high in 9th place in the Premier League but have scored only 1 more goal than Cardiff this season. For me, this one has 0-0 written all over it. FPL: Five to watch in GW10 – Make friends with Salah? After the Champions League brought mixed returns for English clubs, attention turns back to the Premier League as the latest round of fixtures brings some interesting fantasy football predicaments. A relatively quiet game week 9 heralded an average of just 43. Many of the big hitters didn't fire and clean sheets were the order of the day but can we expect any different this week? I'm here to try and find five players to turn your arrows green by Tuesday morning. With Tottenham and Man City clashing on Monday night and some tricky looking fixtures for the other sides at the top of the table, we have to dig a little deeper to find out fortune this week. We've all seen the debate around Mo Salah. Would he score as many as last season? That success gave him the dubious honour of being the priciest player in the FPL game at £13m, a large chunk of anybody's budget. It did mean that any slump in form would not be tolerated by the FPL faithful and a small barren spell coupled with being an injury doubt has seen his ownership fall by almost 800,000 teams. His price is now only slightly better at £12.8m but with Liverpool at home to Cardiff, he's the obvious choice for captaincy this weekend. A weary week in FPL is a good time to record a "feature" pod with @_FiGuide (Pet Berisha) to talk about FPL and Football Index, and the various comparisons and contrasts between the two games plus what we might learn from one another. Traders can lose as well as gain capital through investing in football index. Any investment is done at your own risk. Check the terms and conditions before applying for an account and/or depositing funds. Do you want to write about football? Labels: Do you want to write about football? The Premier League returns from International duty this weekend and that means fantasy football managers have some decisions to make. We take a look at which players could make an impact in game week 9. It seems with every passing day another FPL stalwart has gone down with an injury. Zaha, Salah, Mane, Fraser and Trippier are just 5 of the players carrying knocks and it’ll be interesting to see how many of them recover in time to feature this weekend – though none have been definitively ruled out at the moment. With Chelsea and Man Utd clashing on Saturday lunch time and Spurs facing a tricky looking trip to West Ham some of the usual FPL highlights don’t look so bright this week. In times of trouble, latch on to an old favourite. Aguero has five goals this season and four of them have come at home so the visit of Burnley this weekend should have Aguero owners very interested. With all the uncertainty over Liverpool’s attacking outlets I am advocating running the Pep rotation gauntlet on Saturday. Aguero should be a certain starter as Gabriel Jesus has been away with Brazil but there is a concern over just how many minutes the Argentine striker will get. This week saw the launch of the FPL Guru iOS app. 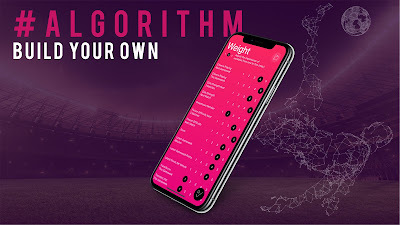 At its core you receive intuitive recommendations via analysis of your FPL team! 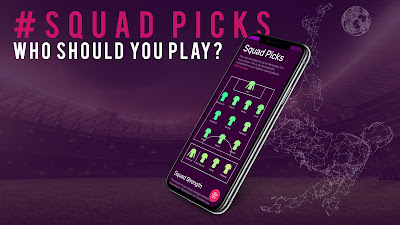 The sophisticated algorithms can help with decision making on a number of key FPL matters ranging from transfers, squad picks, captaincy and wildcard usage. 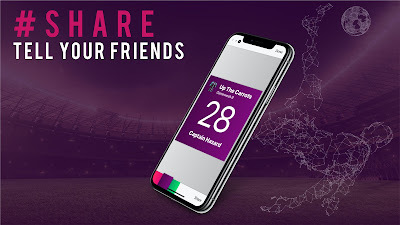 The app will make suggestions on how to refine your team and also help identify areas in which you can potentially earn more points. FPL Guru is the brainchild of Duncan from Steinbock applications. He initially decided to create the app as a way of improving his own fantasy football rank. The app is free to download and currently there is no charge to use any of the features. But please note - there is on-going development, and as with all new things, be wary of minor teething issues. 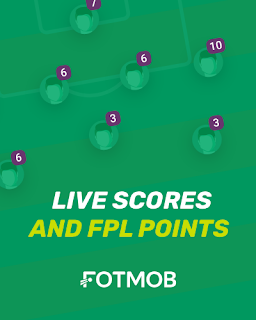 Feel free to download the app and also tell others in the FPL Community. Salah injured? Kane tired? It’s been a busy international break for some – while Sergio Aguero has had a full two weeks to recharge his batteres and decide how many he wants to score against Burnley in Gameweek 9. I think it’s fair to assume that the Argentine will only play just over 60 minutes again on Saturday with an important Champions League game midweek. However, just how much damage can he inflict in an hour? The stand out captain for Gameweek 9 is the first man to gain a place in my Starting 11. Over 85,000 managers have sold him in FPL ahead of Gameweek 9. Could they live to regret it? Mitrovic is about to enter a good fixture run starting with Cardiff City on Saturday. Cardiff, without a win all season and playing at home need to go all out for a win and won't be content to hold out for a drab draw, which could see an open encounter. Scoring in the international break will add to Mitrovic's confidence and I feel like this is the week he adds to his league tally too. Arguably a differential pick earlier in the season, but with the injury crisis at Spurs this man is elevated to a safe pick in my estimation, especially against a defence that’s only kept one clean sheet all season. With Kane dropping deeper, Moura and Son have found themselves in advanced positions – could Moura add to his three goals and assist so far this season? West Ham looked to have their season back on track with a 3-1 win over Manchester United, only for it to come crashing down with a 1-0 defeat to Brighton. West Ham can score goals, but they continue to leak at the back, which bodes well for Moura. Spurs have only kept 2 clean sheets all season. Now with Jan Vertonghen injured can West Ham chip in and make this match a goal fest? On all corners and his fair share of set pieces, as well as playing on the left of a front three – Anderson will be looking to add to his goal and assist so far this season. Injury? Internally disciplined? We will probably never know the truth, but what we do know is that Benjamin Mendy is back! A clean sheet against Burnley seems almost a certainty, but what we want is to see Mendy hugging that touchline and creating chances for Aguero and in turn creating a busy afternoon for Matthew Lowton. For a defender to have five assists in only five games is incredible, now fit and back in City's line up he is a must own player again this weekend. Four clean sheets and two assists during his last five Gameweeks. Only a premium defender can achieve this, right? Enter Matt Doherty who has been racking up a lot of fantasy football points lately. Wolves have proved themselves to be a solid unit at the back, not something we expected during preseason. It feels like a Wolves defender is essential, should we all be doubling up? Their opponents Watford conceded six goals in two games, let’s see if Doherty can bag another! With Virgil van Dijk’s presence in the back four as well as the addition of Allison between the sticks, we have found that Liverpool finally have a defence worth investing in after registering five clean sheets from eight games this season. This week they are up against a Hudderdfield Town side who find themselves within the relegation zone having scored only four goals all season, Allison is as safe as they come for a goalkeeper this weekend. A Wolves defensive stack is a ridiculous idea right? 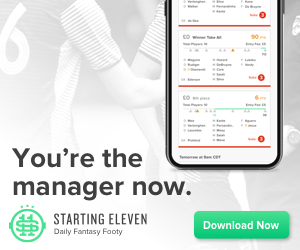 Not for canny fantasy football managers such as @FFPundits_Drew, who managed to successfully load up on SIX Wolves clean sheets on three occasions during the last four Gameweeks. Patricio seems unstoppable at the moment and his pedigree as an established international keeper is serving as a positive influence on Wolves' back-line. Watford failed to score in either of their previous two games and I don’t see why they should find the back of the net against one of the best defensive units in the Premier League this season. It's our 50th pod! And we're joined by a live audience on YouTube to record the podcast this week. THANK YOU SO MUCH FOR YOUR SUPPORT FROM BOTH OF US. This week, we take a look at the block of four fixtures between International Breaks and talk about the key sides and assets to be looking at during that period. Finally, we take some questions. Winning in Fantasy Premier League all about bringing in players who are performing well and getting rid of the ones who aren't - it's as simple as that. Except when it isn't. Take a look at the game's most expensive player, Mo Salah (LIV, 12.9), who has looked a shadow of his former self in recent matches. No doubt we’ll learn the reasons behind his lack of composure and uncharacteristically frustrated body language in a future autobiography, but right now he’s become an expensive liability in FPL. By contrast, after a sluggish post-World Cup start to the season, Harry Kane (TOT, 12.5) is now looking sharper with every match - culminating in that trademark goal against Barcelona in midweek. FPL: Five to watch in GW8 - All aboard the Kane train? The Champions League has been and gone for another week which means all eyes can now turn back to the Premier League. As FPL managers search for the best ways to make up ground before the International break, I've highlighted five players to consider this weekend. After the relative success of last week's selections, I have the difficult task of proving that wasn't a fluke by finding you the value for money this week. With a tricky looking fixture list, there are more punts than usual. Don't forget it's a Friday deadline this week thanks to Brighton vs West Ham on Friday night. Let's crack on with some picks. Harry Kane did manage to get on the score sheet, but Barcelona were too much for Spurs on Wednesday night. With that said, what sort of damage can he do against Cardiff City? After scoring three goals during his last two games, making it five for the season it’s starting to feel like Kane has rediscovered his form. If Cardiff City allowed Burnley to score two against them at home last weekend, I expect Spurs to cause more havoc. Kane is a must-have and my captain this week. Maybe I should rename this one a punt rather than a differential, but after Firmino played 89 minutes on Wednesday night – is it out of the question for Daniel Sturridge to start against his old club this weekend? Two goals in only 25 minutes of football sounds fantastic on paper. He reminded us of the quality he possesses with his goal against Chelsea last weekend. If he doesn’t start then you can easily switch him out in Starting 11, but I think he is worth a shot this weekend – remember that Manchester City just can’t seem to win at Anfield! After scoring two goals and providing one assist in only three games he now has another reasonable fixture at hand. Everton are scoring goals but they are conceding too, eleven in fact since the start of the season. With Vardy and Maddison striking up an interesting partnership, I am likely to line-up with both Foxes in my team this weekend. Surely Maddison can mark his England call up with a cracking display against the Toffees? Let’s stick with the same fixture and hope for a classic high scoring affair! This time I have an Evertonian on offer in the form of Gylfi Sigurdsson. After a slow start he has turned a corner, having scored three goals in three games. We may find that Siggy’s goal scoring form is not sustainable, but from his set pieces I am expecting him to start racking up more assists once his teammates regain their goalscoring instincts. Ok, so it turns out that a goal and five assists from four games from a left back wasn’t sustainable after all, but we all still love owning Alonso in all fantasy football formats and I’m not about to turn my back on him just yet. He is the kind of player where we feel a clean sheet is not enough, but that only confirms what an explosive fantasy asset he can be. Up against Southampton this week, he is my safe pick as I fully expect him to bank those clean sheet points and possibly chip in with a cheeky attacking return. Some people have started to lose faith in Holebas, after recording four assists as well as a goal during his open four games – he has now failed to provide any returns from his last three games. That said, from what I have seen he remains a constant threat – he is still producing dangerous crosses into the box and remains on corner duty. Watford could and should have scored against Arsenal last weekend, Holebas certainly provided the opportunities. He may have better luck against the Cherries and is definitely worth considering. It’s time for a defensive stack, with Chelsea’s Kepa joining Marcos Alonso at the back against Southampton this weekend. Despite Danny Ings’ heroics I always felt that the service he required was not sustainable from this current Southampton side. The Saints will be too busy worrying about Eden Hazard to even think about scoring at the other end! Wolves were supposed to be an attacking threat this season and we were all planning to fill our fantasy sides with the likes of Jota and Neves, which hasn't really worked out to date. However, what we didn’t expect was for them to go on a run of three clean sheets in their last four games. This has been no fluke as they look solid at the back and we can expect many more clean sheets from them this season. This weekend should be no different, up against Crystal Palance who have only scored five goals all season. This week we give our take on the "Fantastic Four" situation in FPL, involving analysis and contextual detailing of the key men in Salah, Kane, Kun and Hazard. We give our view on who gets on the podium.